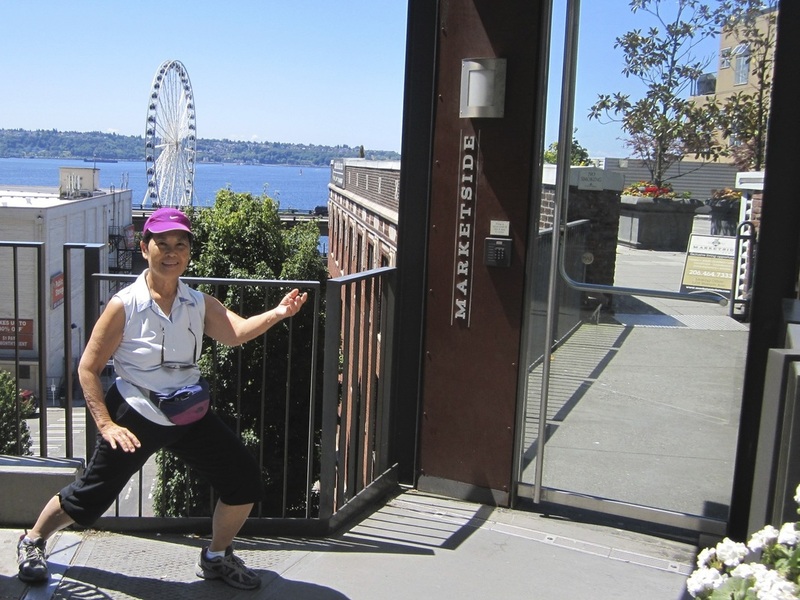 At our hotel in Seattle we exercised by taking walks along the river and did some tai chi too! We enjoyed our walk to Pikes Market to see all the fresh produce, especially the sweet Rainier cherries, the fish market came alive with the barking out of items being sold, and of course the balloon man who made our walk through town fun for our grandchildren! The view of the ferris wheel on the ocean front gave lucy a good reason to do her windmill exercise, # 14 Luk Tung Kuen Chinese exercise.